Rotherham 1-1 Derby: Match Report - MillersMAD. 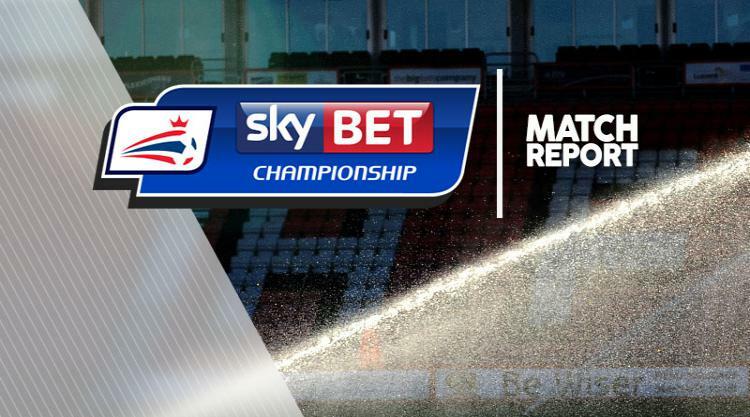 A late Derby penalty ensured Rotherham's final game of their relegation season in the Sky Bet Championship ended in a 1-1 draw. Rotherham were marginally the stronger side in a typical end-of-season affair which saw neither side create many clear-cut chances. The hosts went ahead through skipper Lee Frecklington in the 66th minute before Tom Ince converted from the spot with six minutes left to earn Derby a point. Derby threatened early with a series of corners but Rotherham's Richie Smallwood was the first to have a sight of goal when his shot was well blocked by Alex Pearce. Substitute Ben Purrington, who replaced the injured Jon Taylor in the opening 15 minutes, created a good chance for Jonson Clarke-Harris but the striker headed wide. Clarke-Harris then ran at the Derby defence menacingly before disappointingly firing his effort into the stands from the edge of the box. Ince had Derby's first effort on goal but his 20-yard strike was palmed away by goalkeeper Richard O'Donnell. There were few chances in the game but most were falling to Clarke-Harris and he fired a free-kick straight into the wall at the start of the second half. Tom Adeyemi did better but Derby goalkeeper Scott Carson claimed easily. Darren Bent was brought on from the bench in order to give Derby more of an attacking threat and the former England international had a chance to score right away. Ince's through-ball was controlled by Bent in the box but Semi Ajayi nipped in swiftly before the frontman could get a shot away. Smallwood's free-kick was then headed towards goal by Richard Wood but Carson was well placed to gather. The next big chance of the game was to fall to Derby with David Nugent unselfishly playing in Bradley Johnson when well placed before the midfielder sliced his shot wide. They were made to pay moments later when Rotherham went ahead through Frecklington. The captain met a cross to the back post from Joe Mattock and finished neatly beyond Carson. Rotherham had a good opportunity to double their advantage when Will Vaulks' cross was only partially cleared by Richard Keogh and Adeyemi failed to squeeze the rebound under Carson. Derby put together a late rally with Jacob Butterfield having a dangerous cross cleared behind for a corner. And from the resulting set-piece Derby won the spot-kick, with Will Hughes being tripped by Clarke-Harris. Ince sent O'Donnell the wrong way. Substitute Nick Blackman could have won it for the visitors but his late shot was hit straight at O'Donnell and then Ince's free-kick was gathered at the second time of asking by the Rotherham stopper.